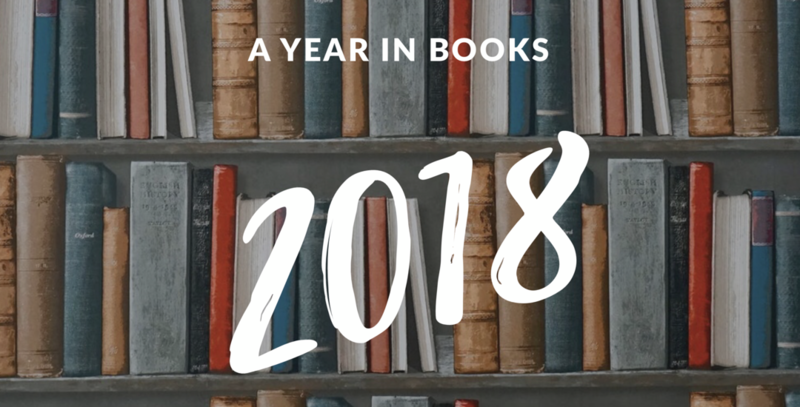 2018 was a brilliant year of books – and book clubs – for me. In my non-reading life, it’s been a year of highs and lows with another expat move from Germany to France. But my cunning plan worked! I set up the Expat Book Club because I wanted a book club that I could read with wherever I was living…and so, with this online community, moving country for once didn’t mean having to say goodbye! The monthly books and live (or not so live!) chats gave me a focus during those tricky first months of a move where everything feels up in the air. Not only that but it has led to making friends in ‘real life’ here in Paris. The Expat Book Club’s reading year kicked off with How to Stop Time by Matt Haig in January, a great antidote to the post-Christmas blues. In June we read Little Fires Everywhere, which was bittersweet for me as it was the last book I read with my book club in Germany. The first book after I moved to Paris was Maggie O’Farrell’s I am, I am, I am…which I discussed on my own! But by December, reading Meg Wolitzer’s The Wife, I had had several meet ups in Paris and ended up celebrating the end of the year with a group of women who have now become friends. I have enjoyed going back over the books from the past year…I love the way that thinking about a book takes you back to where you were when you read it, and how you were feeling at the time. And I especially love the fact that, collectively, the Expat Book Club have read these books together in dozens of different countries! We read twelve books in The Expat Book Club over the course of 2018, and I have included the full list at the end of this post. But…which were the favourites? Here are the top 5 Expat Book Club reads of 2018, as voted for by our members. Celeste Ng’s second novel was the most popular in our poll of 2018’s reads. This tale of American family life encompasses the complexities of motherhood, interracial adoption, abduction and arson – all set in the seemingly perfect town of Shaker Heights. Which is actually a real place…and one of our Expat Book Club members has actually lived there! Ng’s characters are well drawn and her prose is very easy to read. It’s a real page turner and would make a great holiday read. This book has been hugely successful and Reese Witherspoon’s production company are making it into a mini-series. If you enjoyed Big Little Lies by Liane Moriarty, this would be a great choice for you. This is a searing, heart-rending, funny and intensely moving novel by the author of The Boy in The Striped Pyjamas. Who wouldn’t want to carry on reading?! The story of Civil Avery’s life – which starts with his pregnant mother being thrown out of the church and her home – is also the story of Ireland, the Church and gay rights. It’s not just the story of one man, but of many wonderfully real characters. It’s also an incredibly personal novel and, while it is ultimately a story of human redemption, there is an underlying rage which powers the narrative. I cried several times reading the book, and again whilst reading the epilogue. It was incredible to me that this is a debut novel, so accomplished is the writing. The story starts in Africa with the separation of two sisters; one becomes the wife of a British slave trader, the other a slave. From here, each section of the novel follows a different descendent of the sisters, some of whom remain in Africa and others we follow to the United States. This is very powerful novel, and one which stopped me in my tracks and made me think. There was also so much to discuss with this book and I wholeheartedly recommend it. I was late to the party reading Miller’s earlier book, The Song of Achilles, so I was thrilled to find out I didn’t have to wait for her next novel set in the world of Ancient Greece. Circe is a marginal figure in Greek mythology; a nymph who discovers she has an aptitude for witchcraft. But in Miller’s feminist retelling, Circe takes centre stage. Miller expertly weaves her story through with the classic myths of Ancient Greece. So we meet not just the gods, but also Odysseus and other key figures from Greek literature – but we see them through Circe’s eyes. Myth, magic and single motherhood…Circe may be immortal, but this novel is very much a coming of age story. I read this book several years ago and was excited to read it with the group as it has so many themes pertinent to expats. A Japanese schoolgirl writes in a diary which is then washed up, presumably by the tsunami, and found by a Japanese American novelist struggling with writers’ block. This is meta fiction at its best – a novel which takes in theory of time, Zen Buddhism, Silicon Valley and kamikaze pilots – but also addresses what it means to feel at home, and how hard it is to live somewhere ‘other.’ Ozeki is a marvellous writer and hugely clever, and this is the kind of book that makes you feel like a better person for having read it. But a note of caution – the opening section is a bit disorienting. Stick with it! So many great books on the agenda for 2019, hope you will be reading with us! Click here to join our Facebook reading community. Great round up of the year! I missed a few of these so it’s nice to have a list and description all in one place. Will definitely give the hearts invisible furies a read.